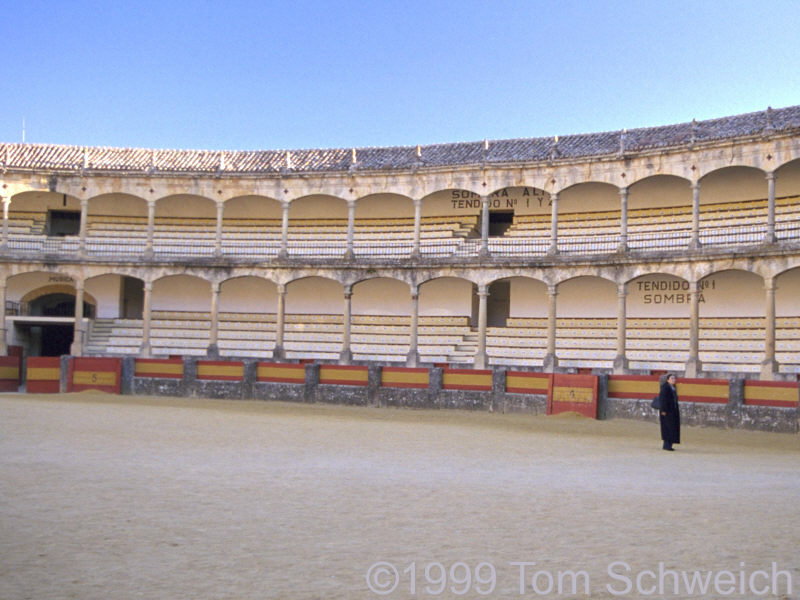 Photo: Inside the Ronda Bull Ring. Eastern Mojave Vegetation Inside the Ronda Bull Ring. For a few pesetas, now Euros, you can tour the ring and the museum of bull fighting, including the display of bloody shirts.